Clippard Instrument Laboratory is a manufacturer of pneumatic components headquartered in Cincinnati, Ohio. It is a family company in that it is owned and operated by descendants of its founder, but even more, it is a family company because it is made of a tight-knit team of people who rally around each other and care about the success of everyone involved. The earliest iteration of Clippard came into existence in 1935 when William Leonard Clippard Jr. moved to Cincinnati to be a part of the radio industry. At the time, radio was the leading edge of technological innovation and Cincinnati was like the Hollywood of radio. Clippard took a job with well-known radio manufacturer Crosley and began to educate himself about the technology and the industry. After several years, he opened his own company manufacturing radio frequency coils – an important component used in the manufacture of radio equipment – for a handful of customers including Zenith and Magnavox. "The company makes many of the products that it uses in its own manufacturing process, so it has a very keen sence for how to use that equipment optimally." Just as Clippard’s company began to find some success in the marketplace, Pearl Harbor was bombed and America joined the war. During this time of great national turmoil, Clippard found himself well-situated to assist the war effort by helping with top secret projects such as the development and engineering work for the proximity fuse. This innovation ultimately played an important role in the success of the Allied Forces. 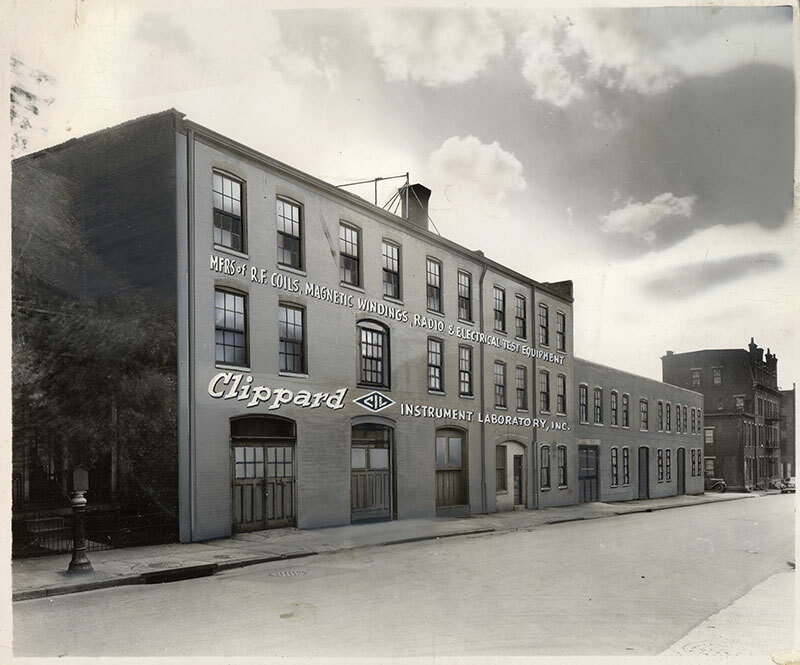 After the war, Clippard began looking toward increasing volume and improving quality through automation. When he looked at his options for automating his manufacturing process, he found the technology to be lacking. The equipment that was available for automating an operation like his depended entirely on large motor and gear systems. What he wanted was something more akin to the giant pneumatic components that were being used in automotive plants, but those machines were designed for working with much larger parts, and pneumatic components for smaller scale operations did not exist. 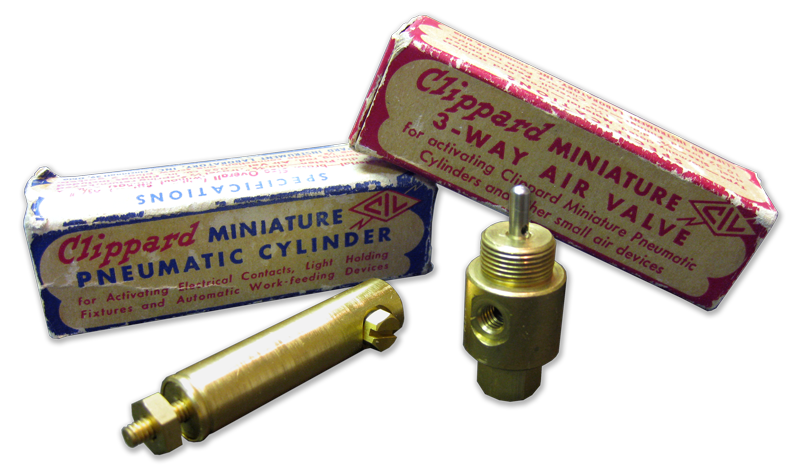 Ever the innovator, Clippard began work on the very first miniature pneumatic components. "The company's most significant markets are split between about sixty percent life sciences and forty percent industrial, but the specific applications are widely varied." Looking at the fine movements of the human hand, he began working on miniature pneumatic systems to simulate those motions. Throughout the fifties and sixties, he built a business and then an entire market around these cutting-edge innovations. In the early seventies, Clippard Instrument Laboratory was the last radio frequency coil manufacturer in the United States, and he sold that part of the business off to refocus his efforts on pneumatics completely. Since that time, the company has grown consistently with a line of pneumatic products that have set the standard in the industry. Today, the company has 230 employees and operates from two manufacturing facilities in Cincinnati with a total of roughly 130,000 square feet of floor space, a sales office in Belgium to handle European business and a second sales office in China to handle business in Asia. For more than seventy years, the company has trended upward with no sign of slowing down. Being a manufacturing company in the business of building components that are then used in manufacturing gives Clippard an acute and comprehensive familiarity with its operation and its products. The company makes many of the components that it uses in its own manufacturing process, so it has a very keen sense for how to use that equipment optimally. Equally valuable is the ability to improve products based on first-hand feedback from its equipment operators. 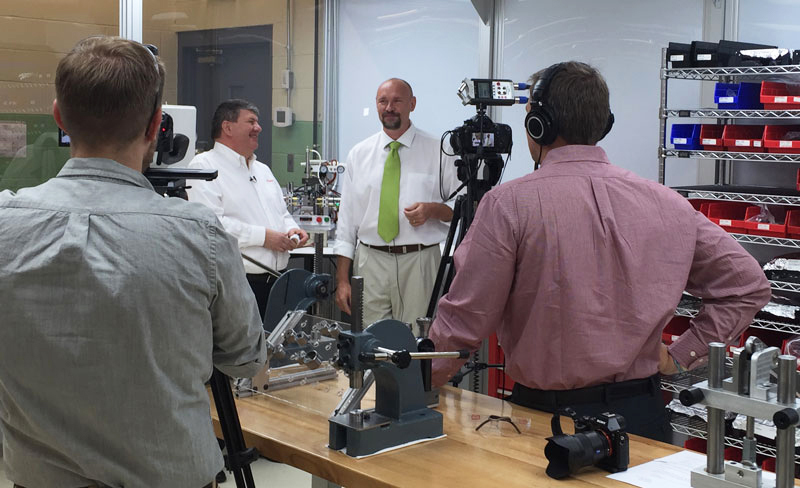 Clippard’s own manufacturing facility is a great testament to the quality and reliability of its product. The manufacturing operation starts with a concept, pulls in raw material, builds the components, assembles them, tests them and ships out a completed product. That may be a singular component, but more often, Clippard builds more complex sub-assemblies for a wide range of applications. Pneumatic components are similar to hydraulic components but use air pressure rather than water to move actuators. 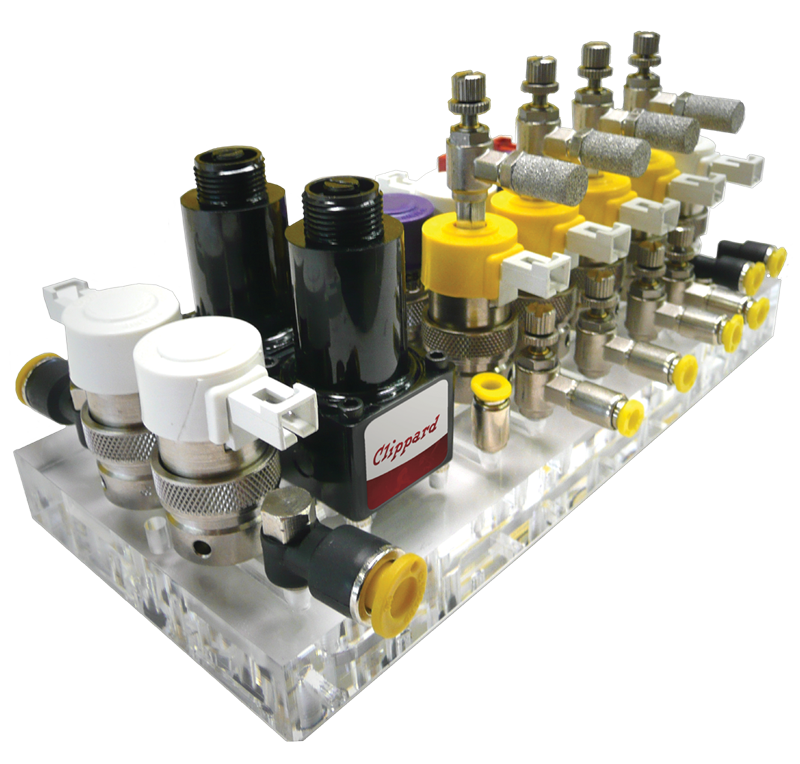 The primary benefit over similar technologies is that pneumatic components offer the most power in the smallest package for the lowest cost. A pneumatic component smaller than your pinky finger can provide the same power at a lower cost than an electric motor the size of your fist, for example. The market sectors in which the company’s products appear are highly diverse. “Our single biggest category is other,” jokes Clippard. Applications range from medical equipment to food processing, the company even built valves and regulators that wound up on the Proton Pack used by the Ghostbusters to save Manhattan when the prop department at Columbia Pictures used Clippard parts to build that classic prop. The company’s most significant markets are split between about sixty percent life sciences and forty percent industrial, but the specific applications are widely varied. Within the life sciences industry, the valve inside the inflatable cuff that is used to take your blood pressure is an example of a product that Clippard produces. The cuff’s valve controls the air flow in the cuff by pumping it up and releasing at different rates based on data received by sensors. There are also laboratory testing applications such as in chromatography, leak testing and automation. The equipment a dentist uses to spray air or water into your mouth at a particular pressure can also be controlled with Clippard regulators. The applications for pneumatic components in industrial automation are innumerable. Whether it is to move something, clamp something, press things together or an almost unlimited number of other potential uses, pneumatic components can be used in virtually any industrial automation process. Through this principled approach to business, Clippard has found a great deal of success in industry. Over its more than seventy years, the company has built a highly-motivated team of experts, a carefully curated distribution network and a very loyal customer base as a result of meeting every unique need. These custom projects are where Clippard truly shines. Being able to accurately understand the intention of a concept and develop a product to meet those very specific needs can be a challenge. Often, client specifications are a moving target, as Clippard and the client might be developing in parallel and running against unforeseen incompatibilities. Designing an assembly or a set of components to solve a complex problem requires much creativity. These projects are a key strength for the company.